3D Turret Space Shooter. Amazing graphics and non-stop action. Defend cities on the Confederation planets against the alien attack and meteorites! Download free full version game now and start your battle! 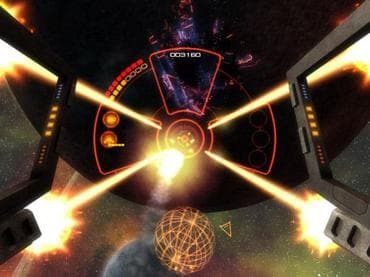 Free Games Features: - 3D Turret Space Shooter with amazing graphics; - Tons of enemies, weapons and bonuses; - Ten missions; - Unique and truly addictive gameplay; - Unique power-ups; - Save / Load game option; - Game statistics; - Free full version game without any limitations. If you have questions about Star Shooter game, please contact us using this form.